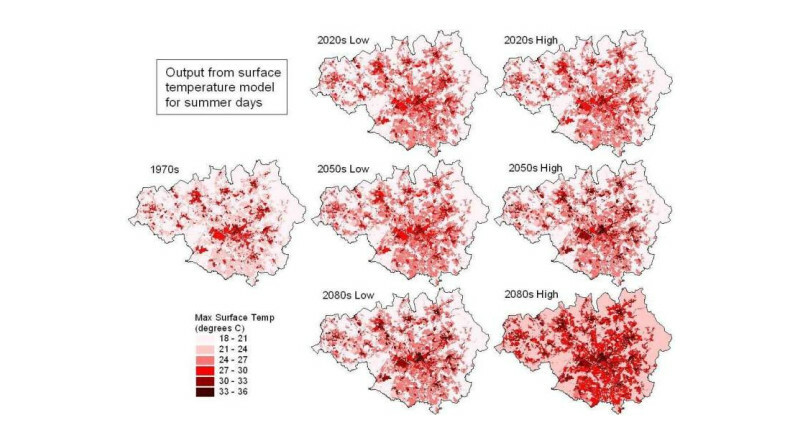 The Surface Temperature and Runoff (STAR) tools were developed by The Mersey Forest and Manchester University in 2011, as part of the EU Interreg IVC Green and Blue Space (GRaBS) project. STAR consists of a set of online tools for assessing the potential of green infrastructure in adapting urban areas to climate change. This includes a surface temperature tool and a surface runoff tool. STAR tools allow the user to assess the impacts of different greening and development options, and their associated land cover changes, on surface temperatures and runoff under different temperature and precipitation scenarios. Outputs of the STAR tools can be used to inform policy, strategy, and development. The STAR tools are best used at a neighbourhood scale, although they can be run for more than one neighbourhood or study area at a time. The tools were primarily designed for catchments in the North West of England, however it is possible to apply them to other locations with some user input and modification of values, e.g. for temperature, precipitation, landcover or soil. The STAR tools are freely available from the STAR website (link below), along with supporting information.